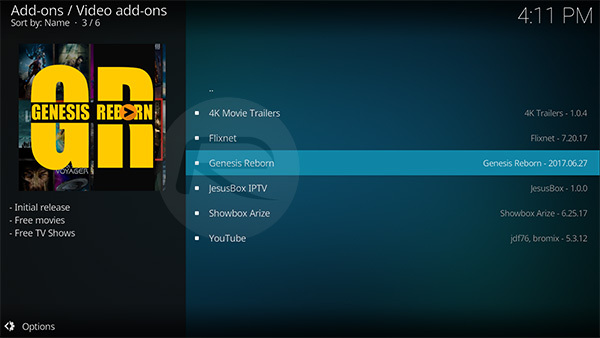 Here’s how to download and install Kodi Genesis Reborn addon on version 17 Krypton in 2017 on your Kodi set-top box. The Kodi Genesis Reborn add-on will give you instant access to an array of streaming movies and TV shows. Not only that, but it also offers high definition HD and UHD content which will definitely appeal to those with 4K television sets. The next set of information is going to give you everything that you need to know to get up and running with the Genesis Reborn add-on provided by the wonderful Jesus Box Media team. Let’s dive right in with enabling unknown sources on the Kodi installation and taking it from there. Step 1: Head into System Settings within the Kodi installation. Once in there, locate and select Add-ons. Step 2: Inside the Add-ons section make sure that Unknown sources toggle is switched to the On position. Step 1: Head into the System Settings and select File Manager to begin the process. Step 3: Add a name for the repository and select the OK option to continue. Head back to the main menu and select Add-ons and then My add-ons. Step 4: Select Install from zip file and scroll to select the file that you have just named in the steps above. Select OK. 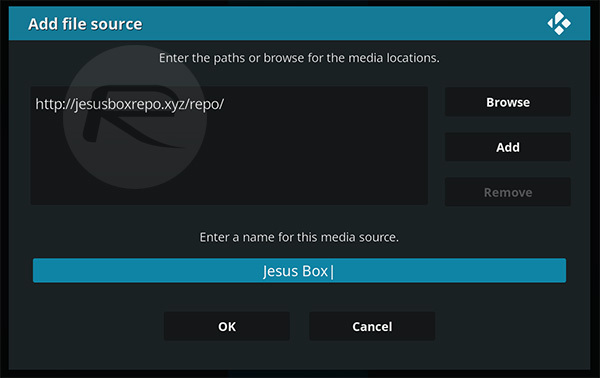 Step 5: Once you are within that repository, select the repository.jesusboxtv-1.0.3.zip file and then select OK to continue. Step 6: Now head back and select the Install from the repository option. Select the Jesus Box Repository, select Video add-ons, and then you will see the Genesis Reborn option within. Step 7: Select Install and wait for it to go through its process. 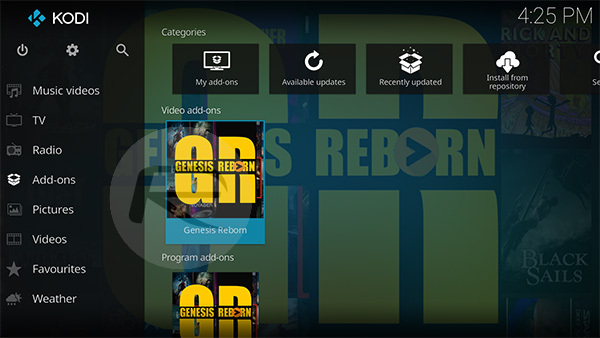 You can then head back to the Add-ons section from the main menu and select the Genesis Reborn option to use its functionality. 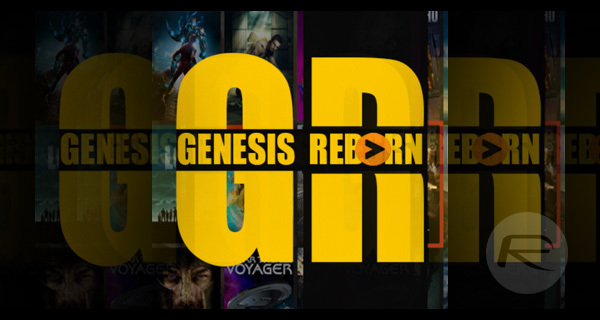 And that’s really all there is to actually get the Genesis Reborn add-on onto the Kodi installation, regardless of the platform Kodi is running on. 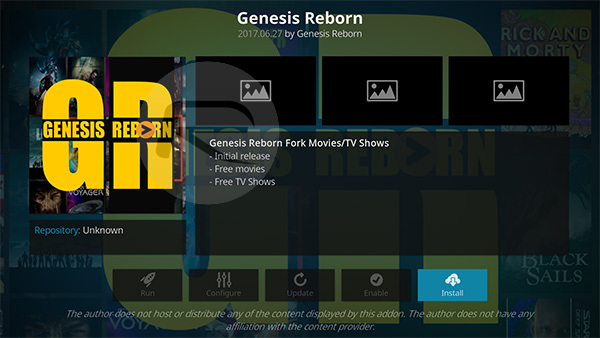 The add-on itself is loosely based on a number of other apps that have proven popular with Kodi users, including Genesis and Exodus, but hopefully Reborn takes things a little further and offers a bit more power. is anyone able to install anything from the JesusBox repository?